Comments: Like New. No markings in it at all. Barely opened. Comments: Book is in Good Condition. Some highlighting. Cover worn. Stamped and stickered used. No CD's, codes or software. Ships from SoCal. usually same day as ordered. Read my feedback about FAST shipping. 10% restocking fees on return. Comments: Book in Acceptable condition. Will show clear signs of use. This book may contain loose pages. 2nd day shipping offered. Ships same or next day!!! Used books may not contain supplements such as access codes or CD's. We have the best customer service online!This is the U.S. student edition as pictured unless otherwise stated. 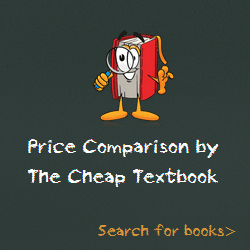 This entry was posted in Book and tagged 128508845X, 978-1285088457, 9781285088457, Computer Science on January 7, 2016 by Textbooks.